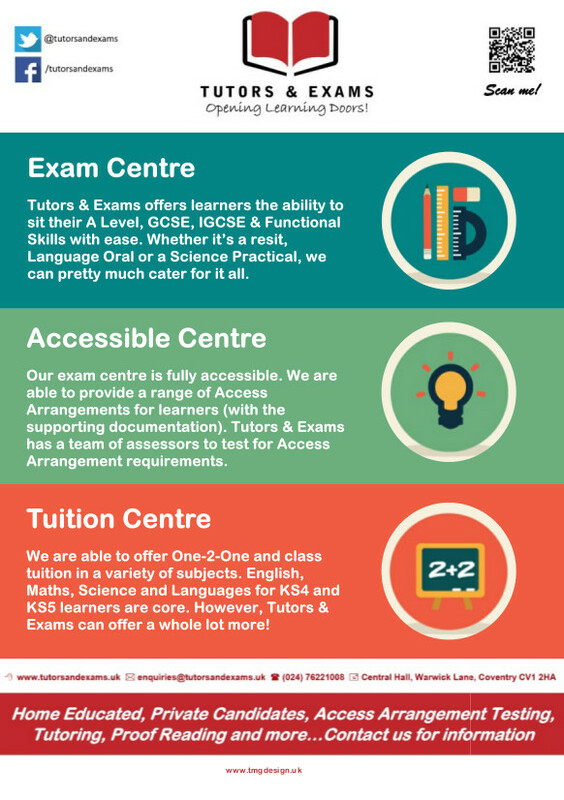 Tutors and Exams is an exam centre in the middle of Coventry which offers somewhere for home educated private candidates to sit a wide range of exams. 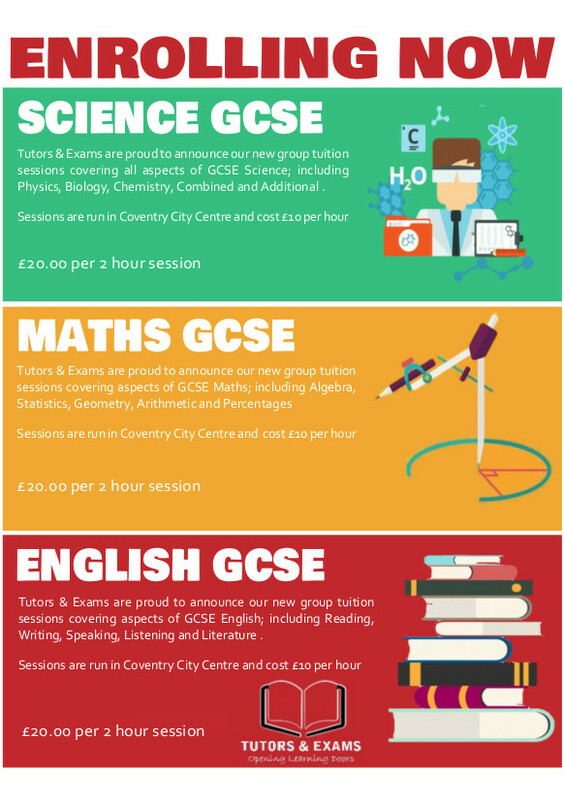 The Centre is holding an open morning on 12th December 2015. There will be a presentation/talk for about 10 minutes on the exam’s process and what we can offer from 10:30 and then open the floor to questions for as long as it takes. We’ll have an access arrangements assessor available to talk to along with a reader/scribe. We will also be setting up one of the rooms as an exam room so that people have an idea of what to expect. We’ll put the exam signs up and some papers out too. The café will be open so food and drinks will be available to buy.